3 The Assumption Common behavior is (often) correct behavior. 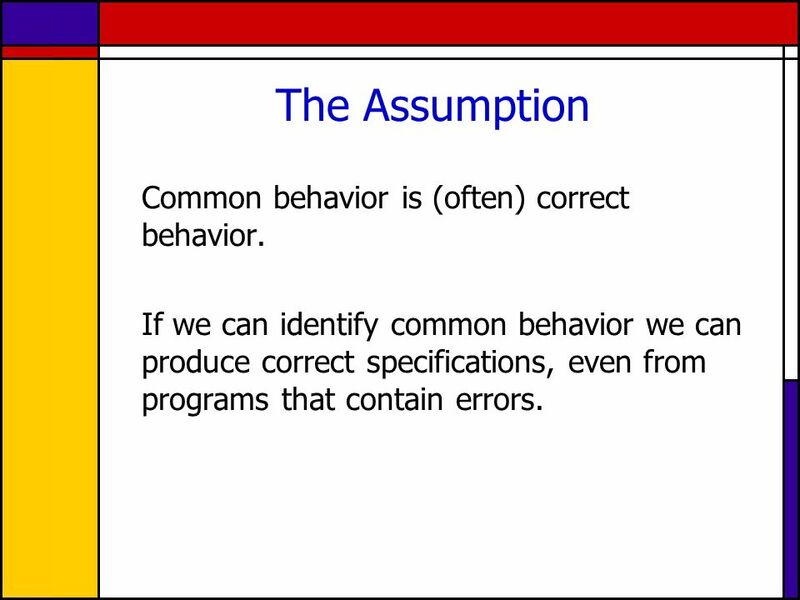 If we can identify common behavior we can produce correct specifications, even from programs that contain errors. 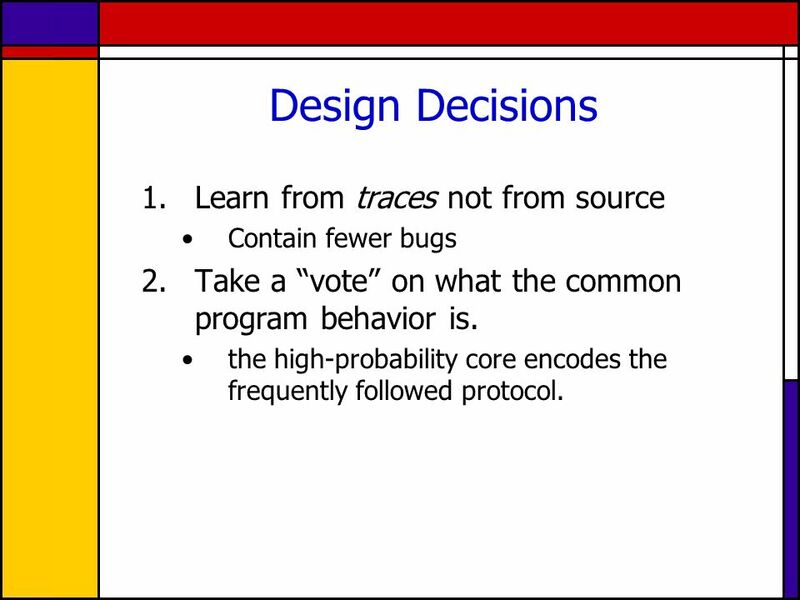 6 Design Decisions 1.Learn from traces not from source Contain fewer bugs 2.Take a “vote” on what the common program behavior is. 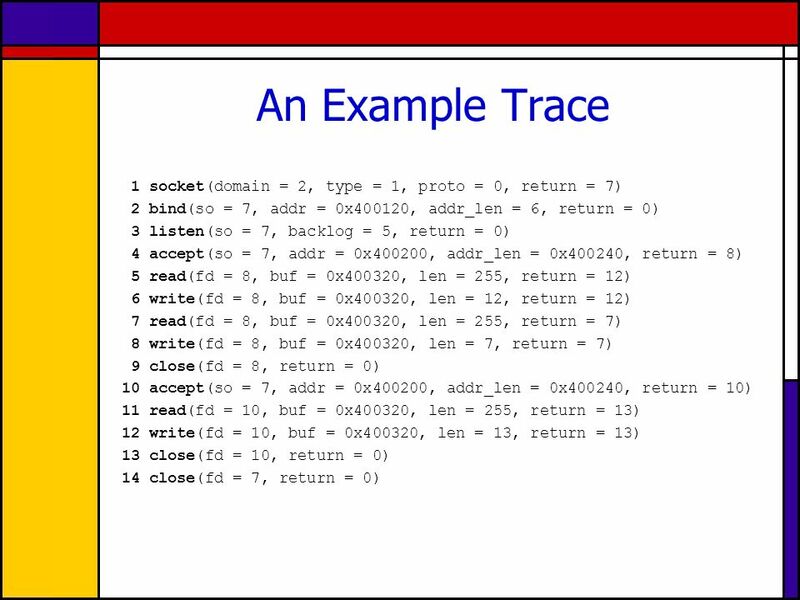 the high-probability core encodes the frequently followed protocol. 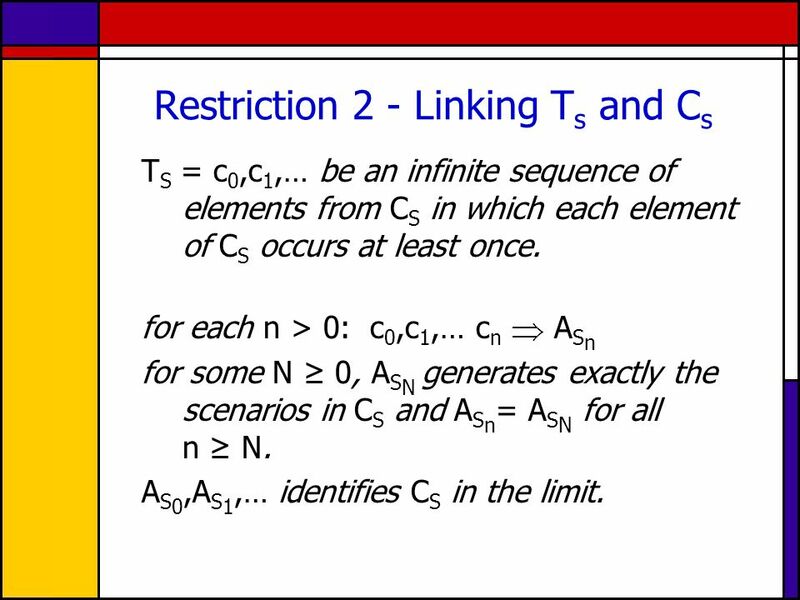 9 Restriction 1 C must be a regular language. –Model checkers require finite-state specifications. –Algorithms for learning finite-state automatons are relatively well developed. 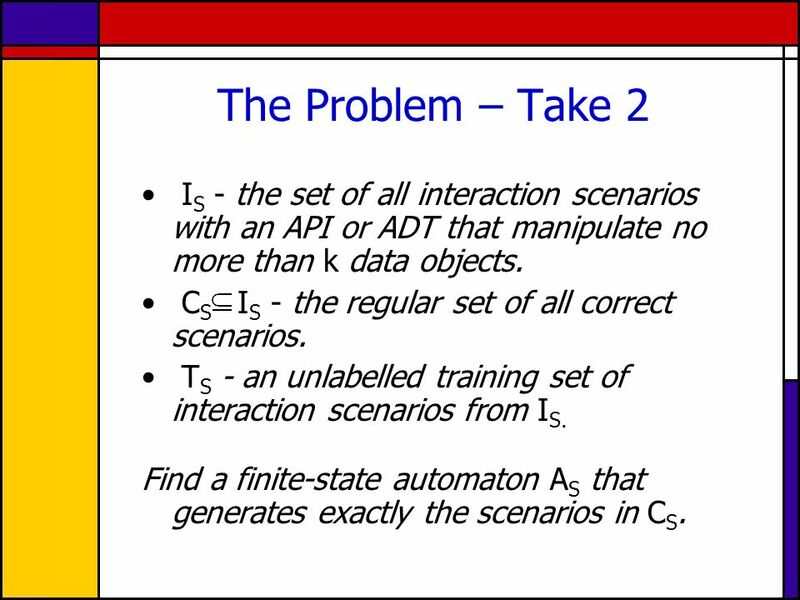 11 The Problem – Take 2 I S - the set of all interaction scenarios with an API or ADT that manipulate no more than k data objects. C S I S - the regular set of all correct scenarios. T S - an unlabelled training set of interaction scenarios from I S. Find a finite-state automaton A S that generates exactly the scenarios in C S.
12 Restriction 2 - Linking T s and C s T S = c 0,c 1,… be an infinite sequence of elements from C S in which each element of C S occurs at least once. for each n > 0: c 0,c 1,… c n A S n for some N ≥ 0, A S N generates exactly the scenarios in C S and A S n = A S N for all n ≥ N. A S 0,A S 1,… identifies C S in the limit. 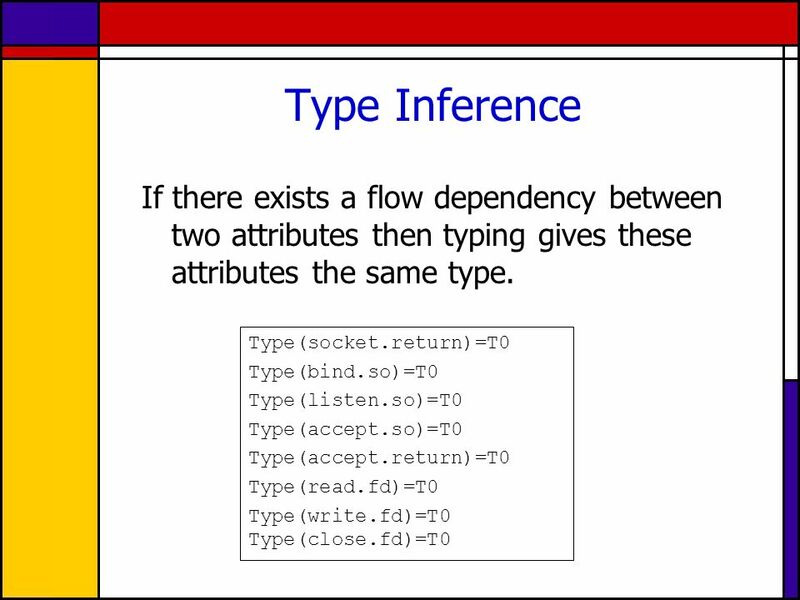 13 The Probabilistic Approach I s – as before. 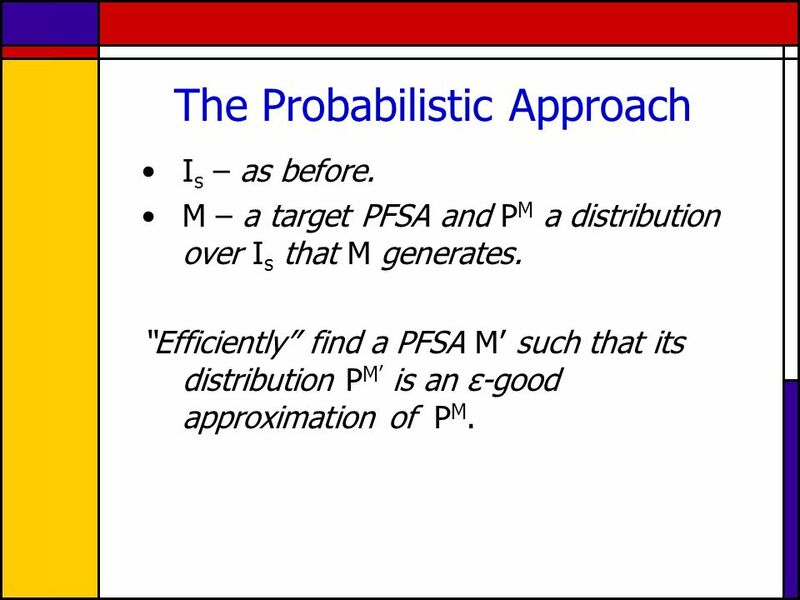 M – a target PFSA and P M a distribution over I s that M generates. 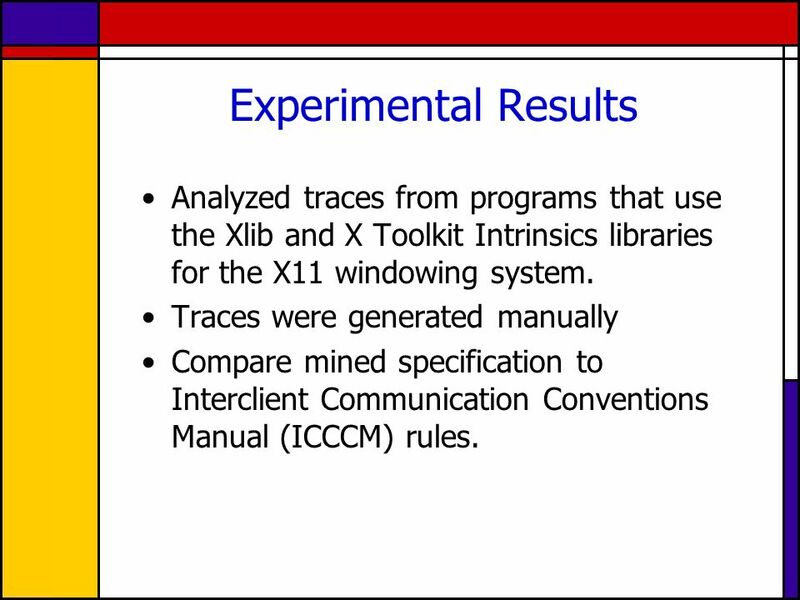 “Efficiently” find a PFSA M’ such that its distribution P M’ is an ε-good approximation of P M.
25 Experimental Results Analyzed traces from programs that use the Xlib and X Toolkit Intrinsics libraries for the X11 windowing system. 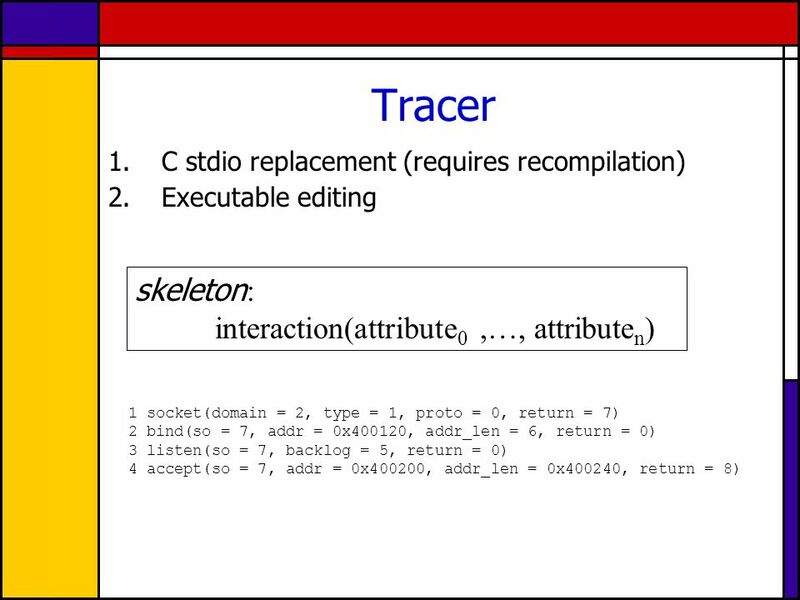 Traces were generated manually Compare mined specification to Interclient Communication Conventions Manual (ICCCM) rules. 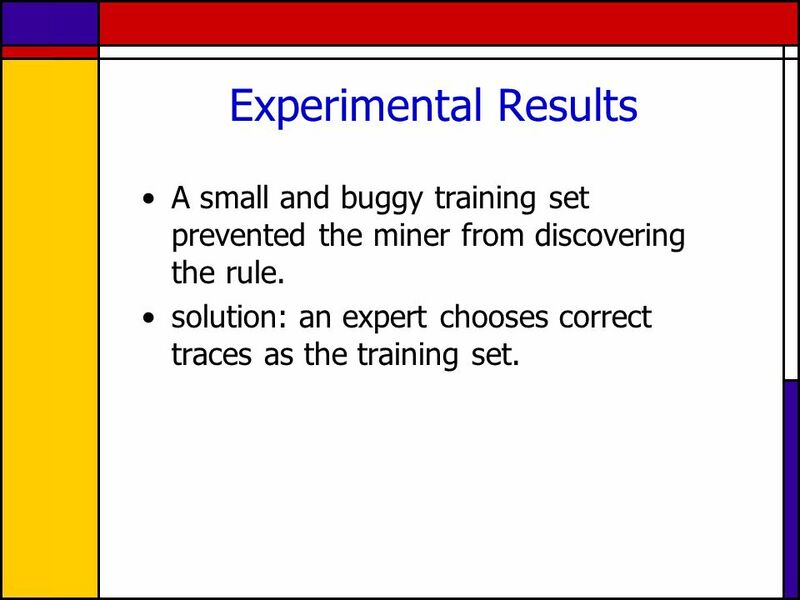 26 Experimental Results A small and buggy training set prevented the miner from discovering the rule. solution: an expert chooses correct traces as the training set. 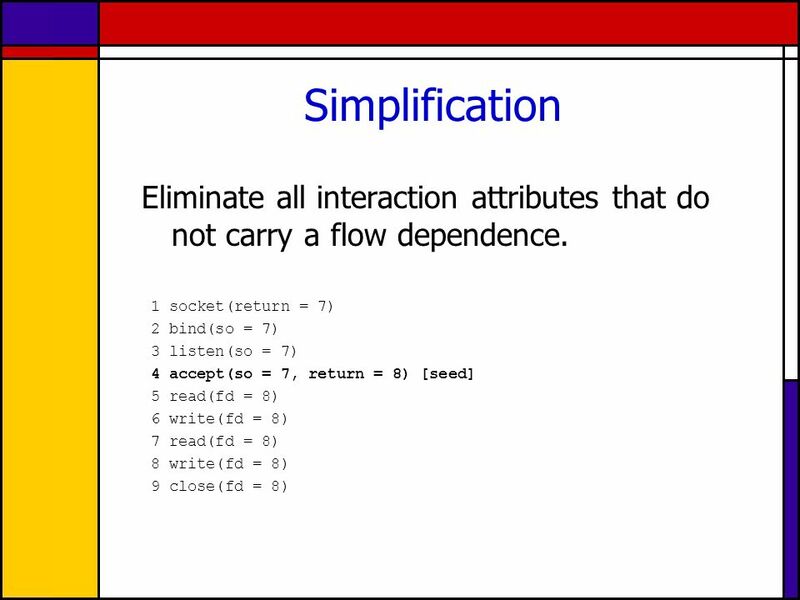 27 Benefits Exploits the massive programmers' effort that is reflected in the code (and nowhere else). Offers convenience and insights. 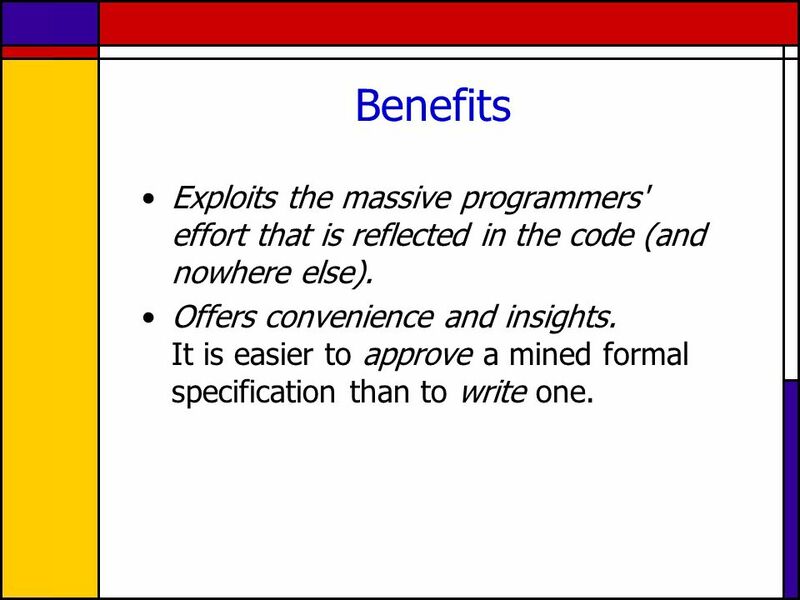 It is easier to approve a mined formal specification than to write one. 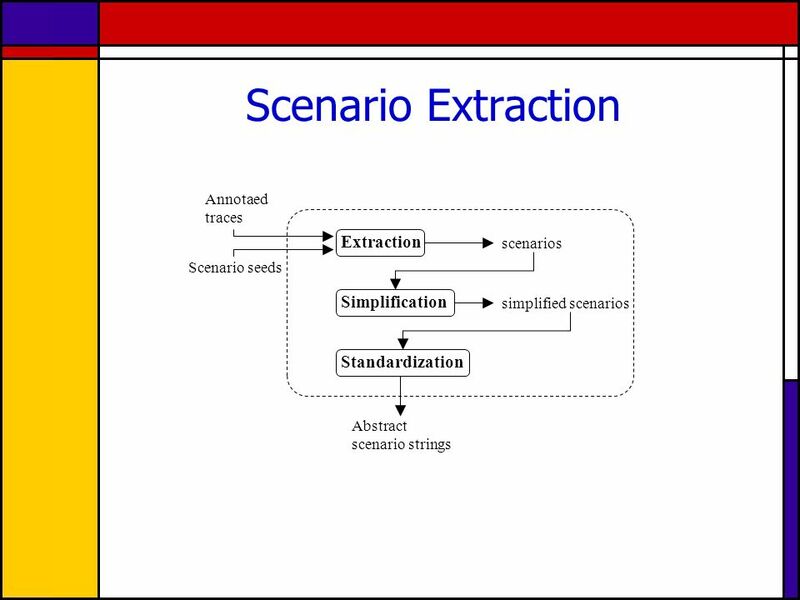 28 Conclusion Introduced a (semi) automatic machine- learning approach for discovering formal specifications. Reduced the problem to learning regular languages. Initial experience is promising. 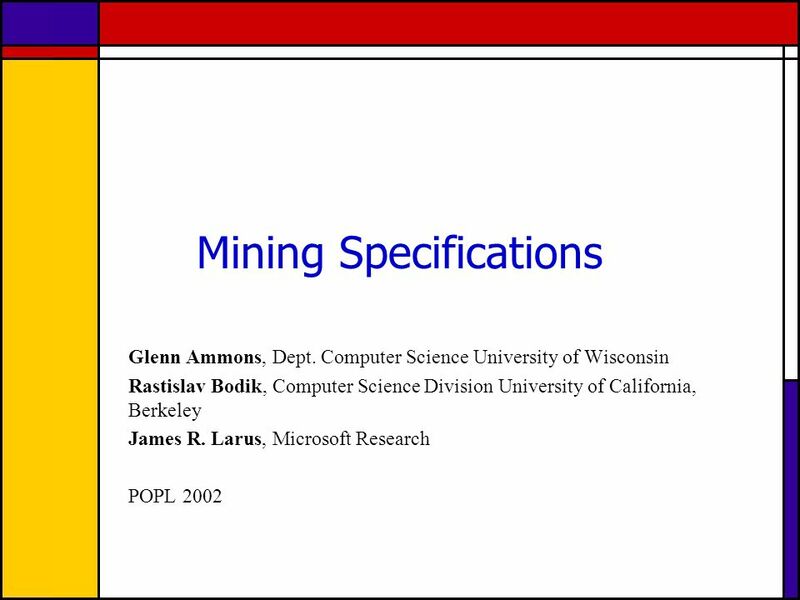 Download ppt "Mining Specifications Glenn Ammons, Dept. Computer Science University of Wisconsin Rastislav Bodik, Computer Science Division University of California,"
1 Verification by Model Checking. 2 Part 1 : Motivation. 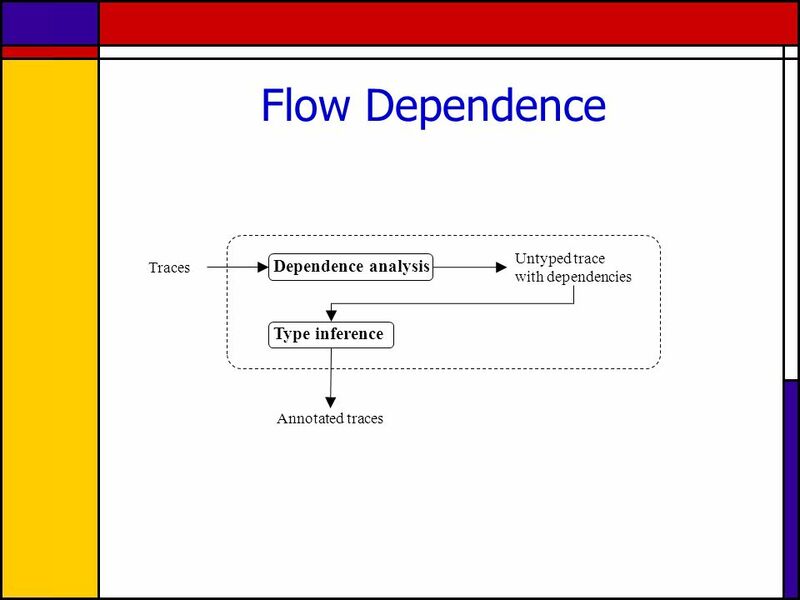 Bounded Model Checking of Concurrent Data Types on Relaxed Memory Models: A Case Study Sebastian Burckhardt Rajeev Alur Milo M. K. Martin Department of. 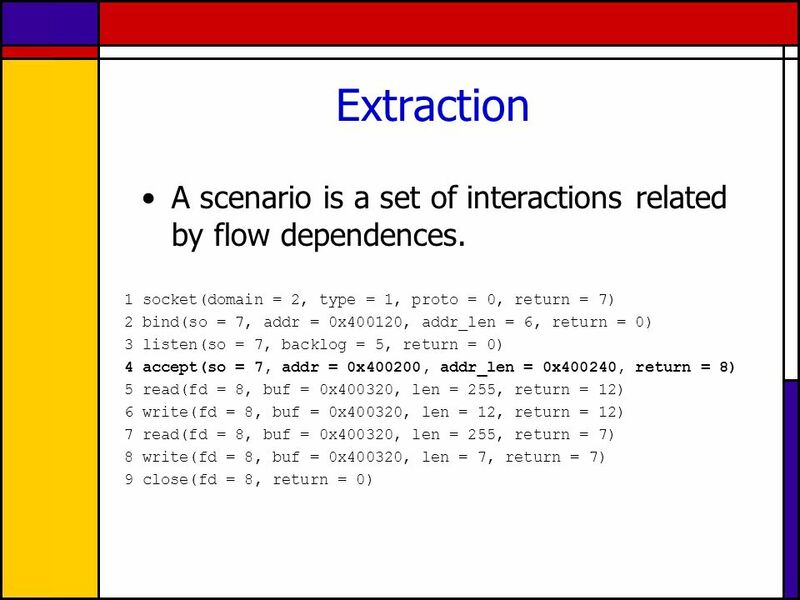 Auto-Generation of Test Cases for Infinite States Reactive Systems Based on Symbolic Execution and Formula Rewriting Donghuo Chen School of Computer Science. 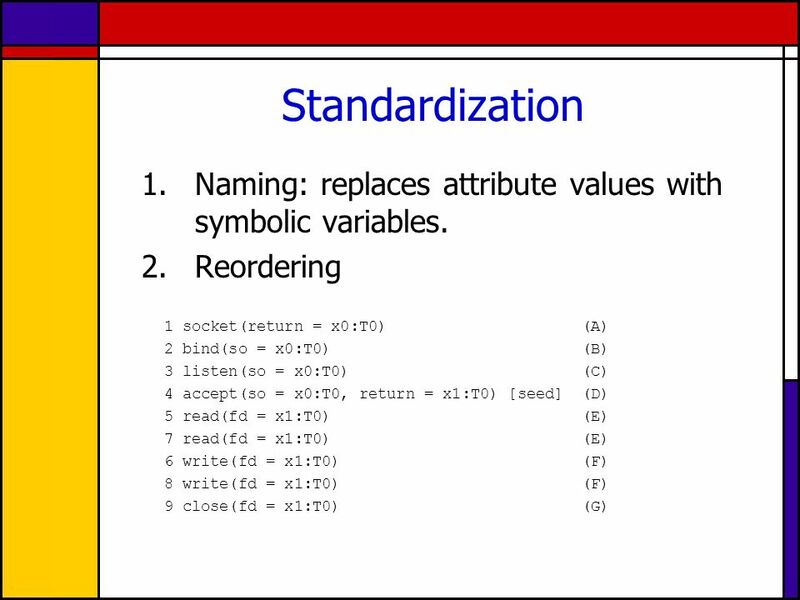 Modular and Verified Automatic Program Repair Francesco Logozzo, Thomas Ball RiSE - Microsoft Research Redmond. 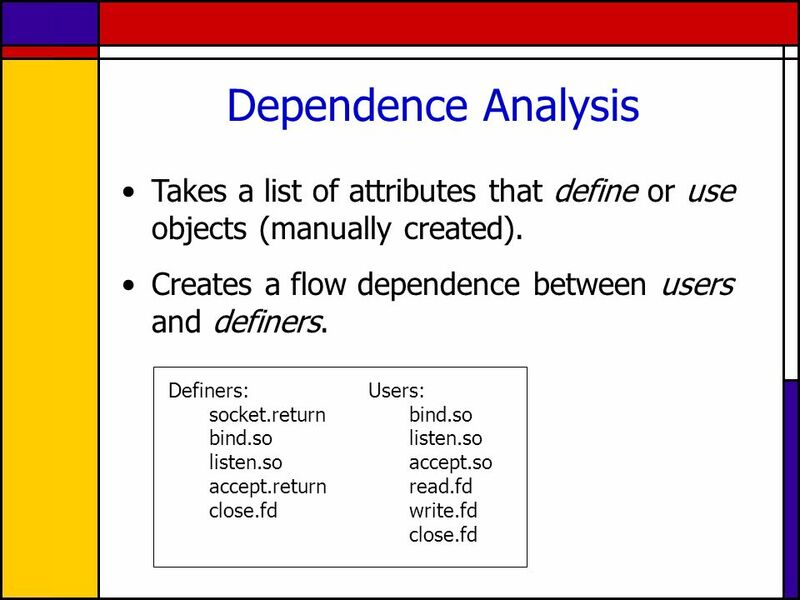 Context-Sensitive Interprocedural Points-to Analysis in the Presence of Function Pointers Presentation by Patrick Kaleem Justin. 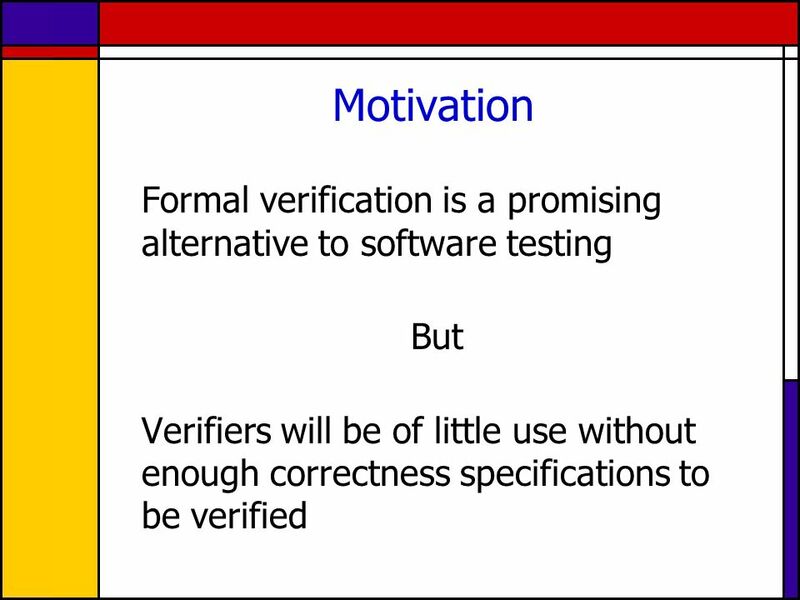 Abstraction and Modular Reasoning for the Verification of Software Corina Pasareanu NASA Ames Research Center. 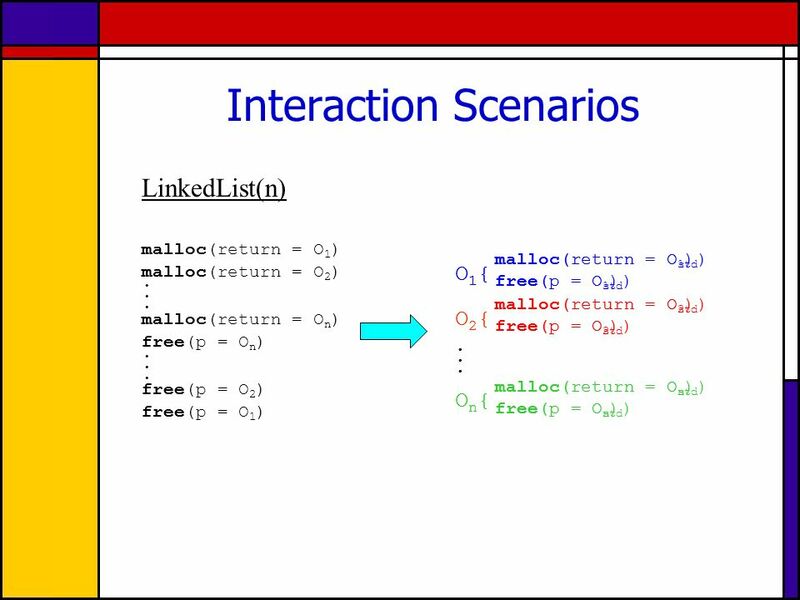 Bouncer securing software by blocking bad input Miguel Castro Manuel Costa, Lidong Zhou, Lintao Zhang, and Marcus Peinado Microsoft Research. FIT FIT1002 Computer Programming Unit 19 Testing and Debugging. Automated creation of verification models for C-programs Yury Yusupov Saint-Petersburg State Polytechnic University The Second Spring Young Researchers. 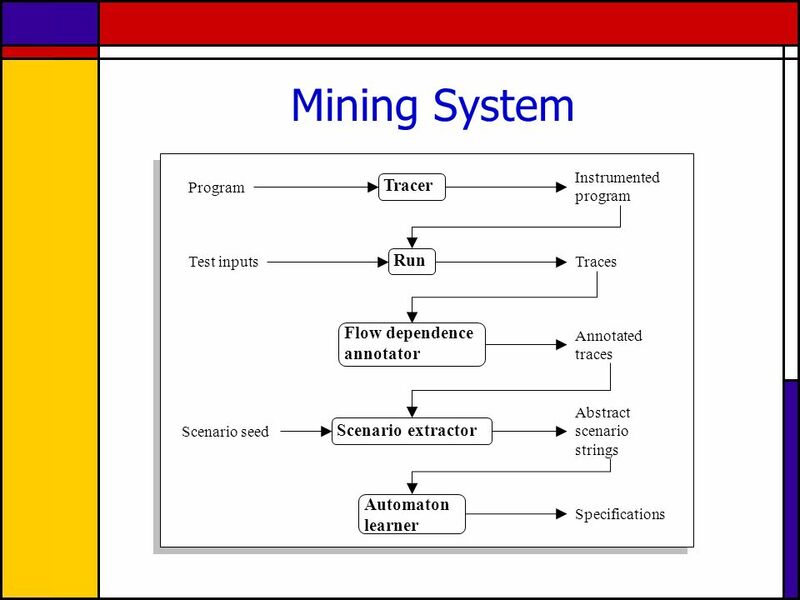 An Automata-based Approach to Testing Properties in Event Traces H. Hallal, S. Boroday, A. Ulrich, A. Petrenko Sophia Antipolis, France, May 2003. 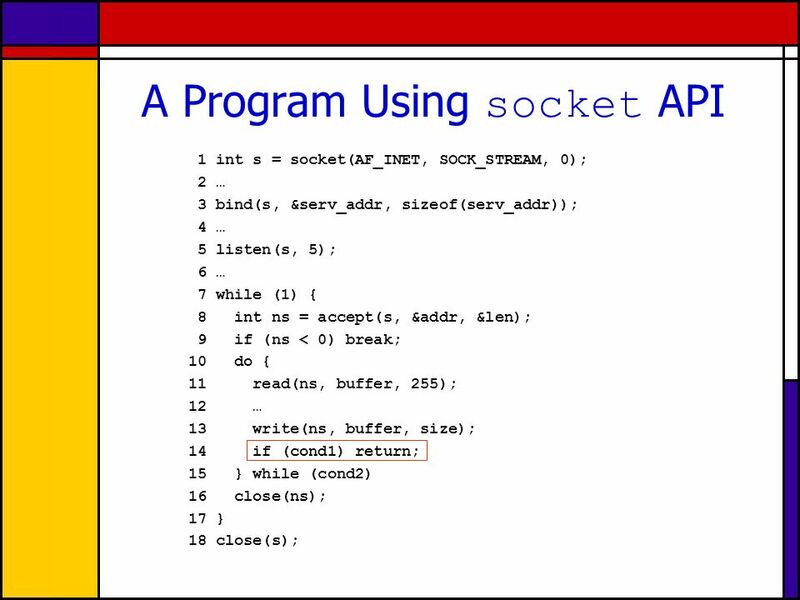 1 HOIST: A System for Automatically Deriving Static Analyzers for Embedded Systems John Regehr Alastair Reid School of Computing, University of Utah. Algorithms and Problem Solving-1 Algorithms and Problem Solving. Dynamically Discovering Likely Program Invariants to Support Program Evolution Michael Ernst, Jake Cockrell, William Griswold, David Notkin Presented by. 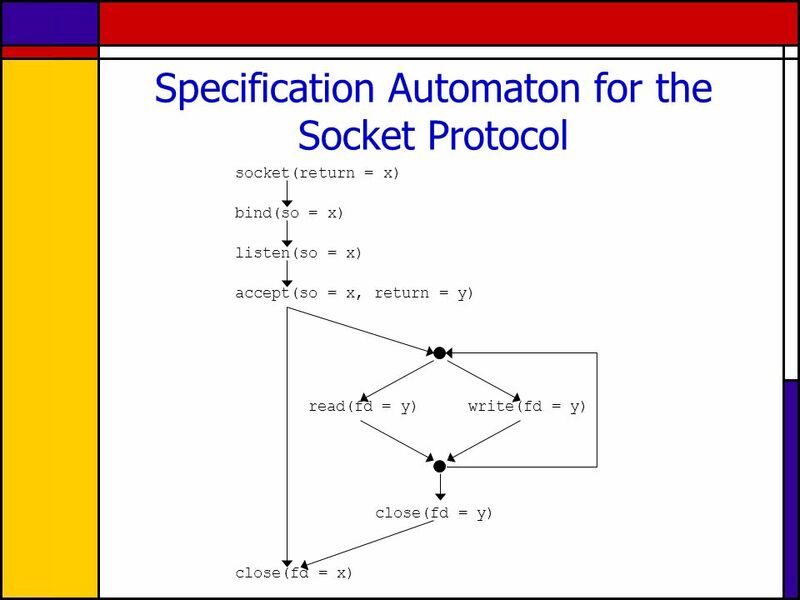 Software Engineering, COMP201 Slide 1 Protocol Engineering Protocol Specification using CFSM model Lecture 30.